Millennial employees were 46% likelier to make a donation if a co-worker encouraged them to do so, a study found. Peer pressure at work helps drive donations. Millennial employees give at the office, a new report finds, and their willingness to do increases when their co-workers do so too. 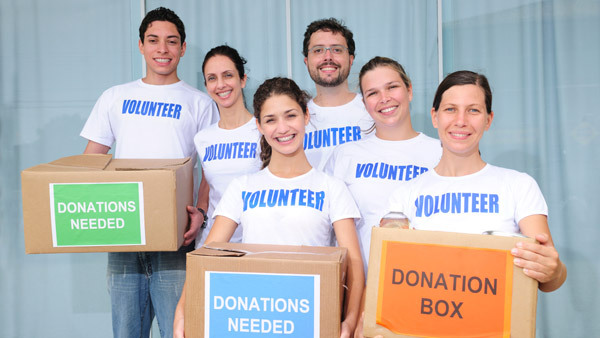 A report released by the Case Foundation and Achieve examined how the relationship between millennial workers and their managers influenced millennials’ participation company giving and volunteerism programs. According to the study, millennial employees were 46% likelier to make a donation if a co-worker encouraged them to do so, but only 27% more likely to donate if their direct supervisor encouraged them. The company’s chief executive had even less success, eliciting donations from only 21% of millennials. “Starting with the first Millennial Impact Report in 2009, the data has clearly shown that this generation is putting their idealism into action in meaningful ways in how they connect, give and engage with causes they care about,” the foundation’s chief executive Jean Case said in a statement. The statement said that altogether the studies had gathered data from some 35,000 millennials. The new report found that 84% of millennial employees donated to charity in 2014, and 22% of those said their employer had solicited at least part of their giving. Forty-eight percent reported they had donated to a company-sponsored giving campaign at some point in their careers. The study also looked beyond workplace giving, and examined service initiatives such as companywide volunteer days and the types of incentives that motivated millennial employees to participate in corporate social responsibility programs. The research found that some 70% millennial employees would be more likely to give if their company offered to match part of their donation. They also said they would be more inclined to participate in a company initiative if their colleagues and supervisors also participated. “This year’s study helps companies better understand how millennial employees engage with and respect their company management, and how that corresponds with their overall corporate volunteering and donating practices,” Derrick Feldmann, president of Achieve, said in the statement. — Check out Charitable Giving Set Record in 2014, Growing 7.1% on ThinkAdvisor.